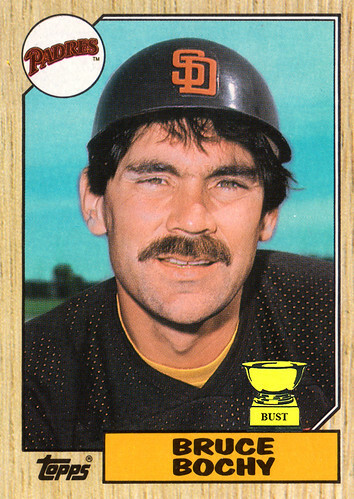 Just how big is Bruce Bochy's head? (A) It's so big, Baskin-Robbins used that helmet in a promotional giveaway and filled it with all 32 flavors. (B) It's so big, he avoiding getting haircuts because he'd get charged double. (C) It's so big, he has three brains crammed in there. (D) It's so big, this card weighs 11 pounds.